Splintered Light Miniatures is proud to present our Rat Swarm pack! 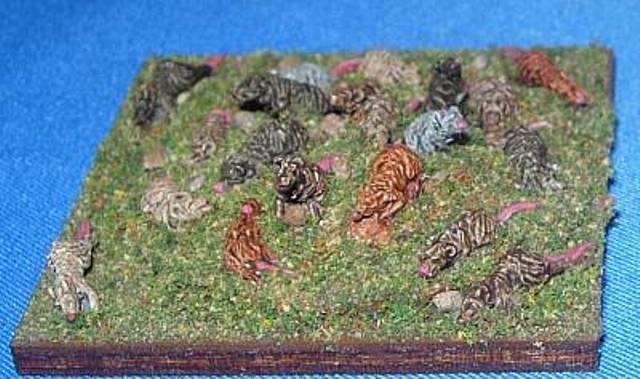 These 15mm figures come with the necessary components to make 3 bases of rats. Pack includes 3 bases of rats and 12 separate rats. These were sculpted by Rodrick Campbell. Submitted by Miniset on 17 October, 2017 - 10:22 (286592).